The forecast for today is hotter with potential scattered bits of rainstorms in the afternoon. Again, it will be a dance between the clouds and the cars. The 54 lap, 300 kilometer race begins at 16:00, shortly after the peak heat of the day. Whatever the conditions today it should be a far cry from last year’s edition that was run in 41° ambient air and well into the 50s on the track. Sure, you want to run soft tires in the heat but at that stage drivers were complaining that the rubber and the asphalt was effectively merging into one substance. For such a comparatively short race, the day begins with a 45-minute warm-up session, quite long in ratio to the race length. Japanese teams pride themselves on teamwork perhaps more than anywhere else in the world and this session gives an opportunity to practise pit stop servicing and driver exchanges. A few minutes into the session I saw one of the most bizarre—no, the most bizarre thing I’ve ever seen at any motor race. 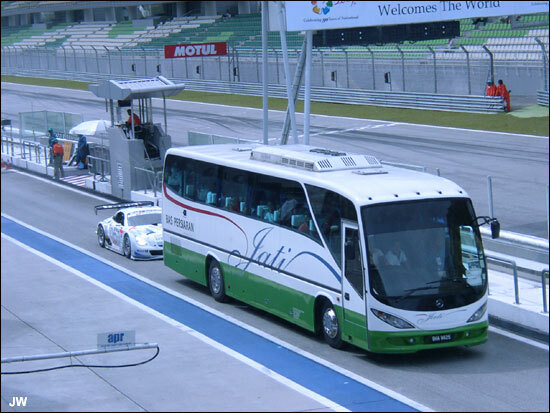 A fleet of luxury buses, separated by a few hundred meters headed out down the pit lane and onto the circuit while the race cars continued circulating unabated. 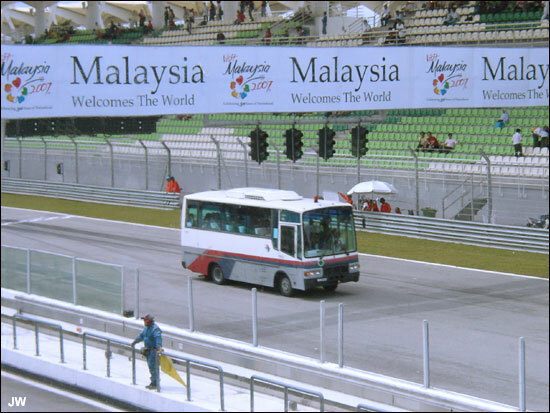 The buses were each filled by camera-toting local VIPs, team sponsors, and anybody else who could wrangle an invitation. They kept away from the racing line—sort of, but it was fun to watch the GT cars dart around the 60 kph behemoths. It gives new meaning to concepts like speed differential and backmarkers. Try that in America and you’ll have a busload of lawyers arrive faster than an R10. As it turns out, this is not an uncommon practice at Super GT rounds. It has a name in Japanese that roughly translates to “Zoo Tours”—analogous to tour buses trundling past bemused lions and tigers. Most teams appear to be running at race pace during the warm-up. The top GT500 teams are all in the 2:00 bracket. 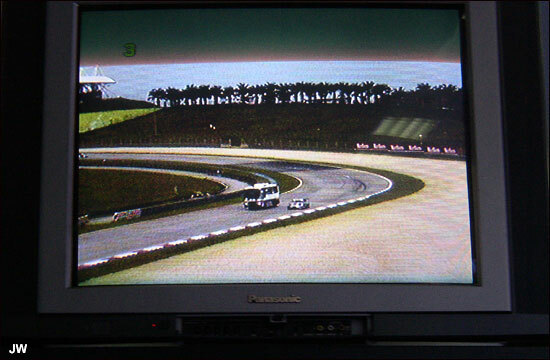 The GT300 runners are favoring the 2:11-2:12 range.